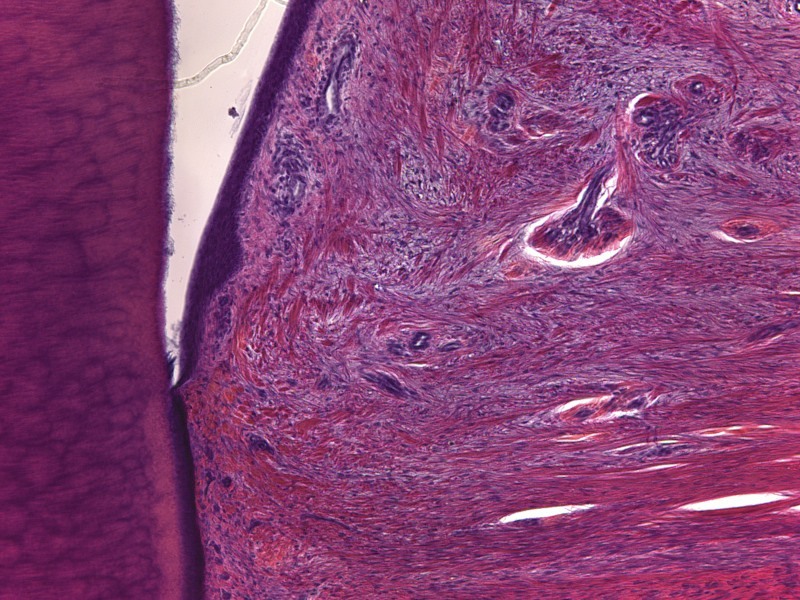 This histological section shows the Cemento-Enamel Junction and the adjacent structures: dentin, enamel, cementum, junctional epithelium (in part), connective tissue, and gingival fibers. An inflammatory infiltrate is present in the connective tissue, in proximity of the basement membrane. Vascular bundles are visible in the connective tissue. Feel free to share this image, according to the terms of the Creative Commons License reported below.